We have posted a comprehensive list of answers to frequently asked questions by our customers and visitors to our website over the years. How to list with QCFSBO.com? Getting listed with QCFSBO.com is an easy process. After we take your contact information and address of the house, a set of forms will be given to you to help you provide your information for the advertisement. The forms can be picked up from our office or sent via snail mail, fax, or e-mail (in PDF format). We will set up a date for a photo shoot and call you late afternoon/early evening the day before the appointment with a one hour time range during which time you can expect the photographer at your property the next day for the appointment. While we do try to accommodate our clients' time preferences, it isn’t always possible for us to make that happen and a time preference is not guaranteed, express or implied. We take payment for the listing at the time of the appointment. We accept cash, personal check, or credit card. We do not accept money orders. For the refundable Yard Sign Deposit, we charge $75, payable only with cash or check. Once you have received and accepted an offer on your property including earnest money deposit (at least $1,000 - $2,000, or more depending on value of your house), visit your lawyer and have them make sure that the offer is compliant with all legal requirements. Make sure that the lawyer you chose to work with is well acquainted with real estate work. You’ll want someone who does no fewer than fifty closings a year. Do not use the same lawyer as the buyer as it invites the question of conflict of interest. How long does it take to get photos taken from the time when I call? a) Time of year. During peak season, we have a lot more customers wanting an appointment. During the busiest weeks, we are sometimes fully booked for the entire week by Monday afternoon. b) Weather. We tend to reschedule if it is raining or snowing. c) Your availability. If you are extremely limited as to which day of the week works for you, it can complicate things. If, in addition to those limitations, you enter a day with stormy weather, then it will be even harder to make everything work. The more flexible you are in terms of when we can take pictures the quicker you'll get them taken. The large majority of our clients work, and fear that this could be a hindrance when scheduling photoshoots. For most clients it works out just fine when we give them an one hour time range the day before and then a call ahead when the photographer is en-route. They drive over to the property, the appointment is usually done within 20 minutes at most, and the client then is able to head back to work with minimal disruption in their work day. If the home-owner isn’t there for the photo shoot, they need to sign our waiver ahead of the appointment. The waiver allows the photographer to take pictures in the owners' absence. A person representing the owner must be there who is at least 18 years of age or older. Every now and then, we have people asking to provide their own photos. While we do accept them (they are subject to approval), we will be candid that in all our years, we had maybe 10-15 clients where we considered the pictures worthy of the house. In most cases, even if we accept them, we don't feel they do the house justice. We have also seen that there is a lower success rate with DIY pictures. If you are providing your own, please note that we have a 3 megabyte file size limit on our mail server, so e-mail pictures 2 at a time, or one if they are very big. Put your last name and address in subject line. Call us after you have sent them so we can make sure we have received them. We use an alternate e-mail address if your files are too big. We only accept images with a .jpg, .jpeg, .tif, or .png extension. Alternately, you can bring them in on a DVD or CD disk. We do not accept zip drives, nor are we set up to download them from your camera. Please only send us the pictures you wish to use and not a few dozen for us to 'pick the ones we want'. We periodically have people wanting to use the photos they had taken by another photographer. We can use those but require written permission from the owner of those photographs (photographer). The images are still subject to approval and cannot have a watermark on them, and will, like all non-QCFSBO staff photos, be labeled by us with 'Customer Supplied Image'. The photographer will show you the images on the screen of his camera as he takes them, please note that the images go through post processing and digitally enhanced for brightness and color correction and that the image you will see on the screen will be a 'raw' image. They are not jpg files. We are not set up to send you the photos for review prior to posting on our website. Do we get a discount if we provide our own pictures? We do not charge for the photos we take and, therefore, offer no discount on DIY images. However, please remember your property will show better if you let us take professional quality pictures of your property. Our photographer has been taking these pictures for over 19 years! Look at the pictures currently on our website and compare them to the pictures you have taken. See if you will benefit from our free service. Can I replace any of the current pictures on my listing? Yes, you certainly can. Please call the office for details. 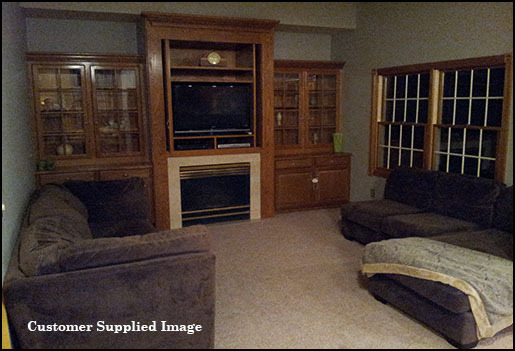 A small fee may be required depending on how many pictures you are planning to replace. Can you send me the pictures you took for flyers/other sites/keepsake/realtor? 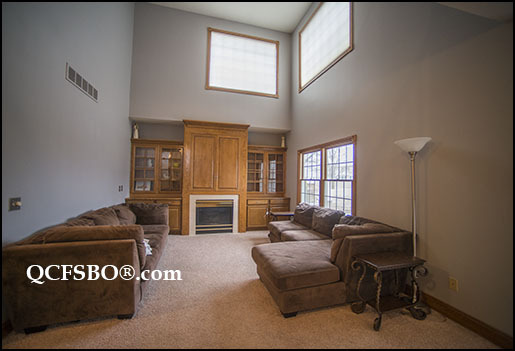 Images taken by QCFSBO are the property of QCFSBO/Quad City Virtual, Inc. and cannot be used for commercial purposes by third parties, other websites, or print media. If you wish to have the photos of your listing for keepsakes, please contact us after your listing has sold, changed hands, and we can see the new owners' names reflected on the assessors’ websites. I'm really in a hurry to advertise my property so can I post it now and add pictures later? We do not advertise properties without at least one picture (front of the house). Many builders post their listing that way and then add pictures when the house is completely done. Can the photographer come back for another photo shoot? Yes, he can, but there will be a reshoot fee, and a travel fee if one is applicable. If you are adding pictures to your original posting, the cost for additional pictures will be added to the reshoot fee. Please call the office for details. If you wonder what the difference is on our site, it is simple. •	If a listing is Sale Pending, it means the deal is free of any conditions which could affect the solidity of the deal like inspections, financing, sale of another house, etc. When a house on our site is ‘Sale Pending,’ we remove contact information as the seller doesn’t want to get any more calls. •	When you see a ‘Contingent Sale’ tag, it means that the sellers have accepted an offer, but there may be contingencies that could influence the final outcome of the offer. It could also mean that the seller simply wishes to continue to receive phone calls from prospective buyers and possibly backup offers. Do you charge for changes to our listing? There is no cost for text changes such as price adjustments, changes to descriptions etc. If you want to swap out up to two photos there is no fee, but if you are replacing three or more photos there will be a small processing fee. Please call the office for details. Can’t see my changes, listings, etc. Refresh your browser (F5 key in Windows operating systems or Command+R in Macs). In computers, workstations, laptops, etc, you have something called 'cache', which is a temporarily saved file of the pages you have visited. if you visit our site frequently, the cache will display old information until you refresh your brower. You need to refresh your browser if you want to see the latest information.You can disable 'cache' in your browser but please note that in doing so, you will slow down your Internet browsing experience considerably because your browser will need to reload a page everytime you visit a website. You can advertise your Open House on your listing. We update our Open House section once a week on Wednesdays after 3 PM. If you would like to do an Open House please call our office by 3 PM on Wednesdays to ensure a timely posting. Any Open House requests that come in after that and before 3 PM on Friday afternoon will be posted by end of business on Friday afternoon. I drove by a sign in the yard but can’t find it on the Internet. Can you tell me why? •	If the house is a new listing, the listing may not be up yet. You can ask our office for the posting date of when that listing is scheduled to be posted. •	Until a listing is posted on the site we cannot provide any information about a property, as we have often seen clients make changes to relevant information as price and contact information even a few hours before posting time. We apologize for any inconvenience. •	The listing period for the listing may have expired or the house sold and the sellers have not yet returned the sign back to our office. •	Please note that for legal reasons we cannot disclose any information on a listing unless it is actively listed on our site and we only give out information that is already displayed on the site. You don’t have to take a QCFSBO yard sign. But, if you do, please note that we charge a $75 yard sign refundable deposit, which is payable by cash or check only. When you return the sign to our office in the condition you received it in, you will be issued a refund check. If you are concerned about the possible theft of your sign, you can rent a chain and lock from us for a refundable deposit of $ 15. Every active listing has a link to a printable flyer. 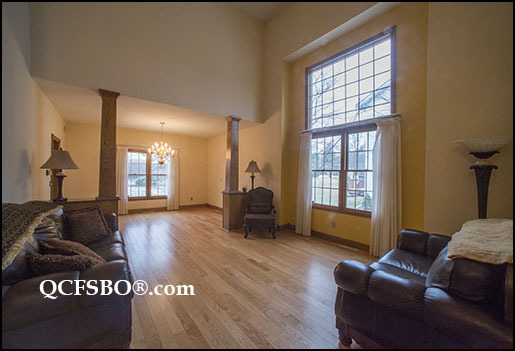 Six pictures of the listing are included. Do you print Flyers for your customers? We do, and it's a good deal! Please call our office for details and pricing. Payment for flyers are accepted in cash - exact change ONLY! If I give you my contact info will you contact me if a certain house goes ACTIVE again? We're sorry, but we are not set up for this service. Can I tell you what I want and you contact me when you are about to list something like it? We're sorry, but we are not set up for this service. Our website is updated daily with new listings, reposted listings, and all the many changes our clients make to their listings. Visit frequently and remember to refresh your browser when you do. (F5 key in Windows operating systems or Command+R in Macs). We also update our Facebook, Twitter, Pinterest, and Tumblr Pages with our new listings. Follow us to get new postings automatically in your feed as soon as they are posted. Do you provide Offer to Purchase or any other Real Estate related forms? QCFSBO does not provide any Real Estate related forms, instead we recommend that you contact your attorney for a copy. Can you tell us how many people have looked at my listing (aka Number of Hits or Page Views)? If you are interested in finding out how many people have looked at your listing, please call the office. Our stats are quite extensive and they are provided to us by Google Analytics. How long does a NEW tag stay on a listing, how do I get it back? NEW tags stay approximately 7-10 days. Only a property which has been off our site for 30 days or more gets a NEW tag when reposted on our site. I had a listing on your site a while back and would like to list it again. As long as the listing was last active no more than one calendar year from the time it left the website, we should still have the information and pictures. Reinstating a previous listing will cost the renewal fees plus a small repost fee. Please call the office for details. Who writes the descriptions for the listings? Who takes the room measurements? The seller does. Please provide measurements in full feet only, round up or down as you see appropriate. If you provide measurements in feet and inches it will be rounded down to the nearest foot. We bought this property when it was listed with QCFSBO. Can we use the previous listing information? 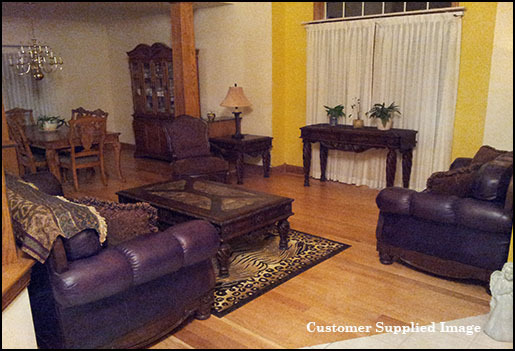 Yes, we can provide you with the previous listing without the photos. Please note that you take all responsibility for the accuracy. If you provide incorrect information based on someone else's documents you will still be liable. Is QCFSBO associated with any other websites, businesses? We are not currently affiliated with any other sites or business, nor have we ever been. Can I upgrade from a thirty to a sixty day, or a ninety day listing? You can do that only and receive the discounted price as long as the listing isn't up and posted yet. To be fair to our customers who choose to pay for a shorter listing period and pay a higher fee when they renew, once posted the listing is locked into that period, you can always add another thirty or sixty days later if needed but you will pay the higher renewal fee as applicable. Even though the above list of questions cover most of the issues raised by our customers and visitors to our webite, you may have a question or concern that has not been answered above. Please do not hesitate to contact us.